We all knew it was coming... and today turned out to be the day. 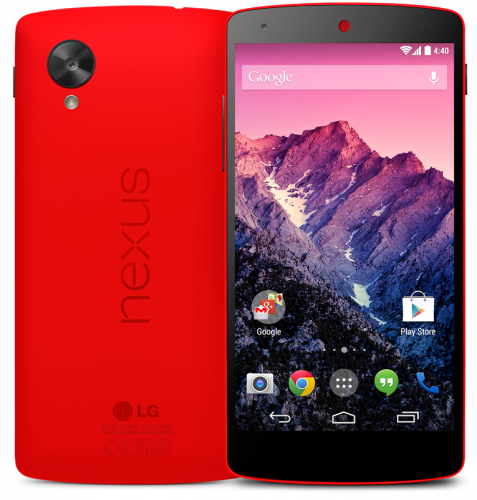 The Nexus 5 is now available in 'bright red' in the Google Play devices store. The new edition is available at the same price points as the black and white versions, and at the moment they're shipping out in 1-2 business days. My question is... WHO'S GETTING ONE? I wish I could get one. I love the red! I'll pass. It looks awesome but if I wanted it that bad i'd buy the red case for my black one I currently own. Wish they put out a red flip case at the same time. I got an email from Google with a "Buy Now" button in it, haha! Too bad I can't justify splurging, but I'd prefer a light violet anyway. Maybe....but how big are the speaker holes? I got one, red is my favorite color. I got one, hope it ships tonight and gets here tomorrow but as long as it's here by Friday I'm good! In the same boat here i hope it ships tonight but its probably going to ship tomorrow night. What time did you place your order at? I placed my order at 10:30 AM PST, i kept refreshing the page to try to get it right when it comes out because i thought they were going to not have that many of them and sell out fast. It says will leave warehouse on 2/6 which is kind of lame but maybe it's just an "under promise, over deliver" kind of thing. I'm using a 5s so I'm not in bad shape I just love the color and like stock Android and can't wait to try out Kit Kat. Too bad it won't come with a candy bar, then I'd be in heaven. I bought a nexus 5 in black when it released loved the phone, then i sold it when the rumors of the red one came out and now i am stuck with my nexus 4. I don't like the nexus 4 as much as the nexus 5, i like how the 5 fits in my hand better then the nexus 4. I cant wait till it comes i payed extra for 1 day shipping because i cant stand my nexus 4. It's nice. I'm on the fence still. I really like the look of the red. But it is only worth it if you are going naked. 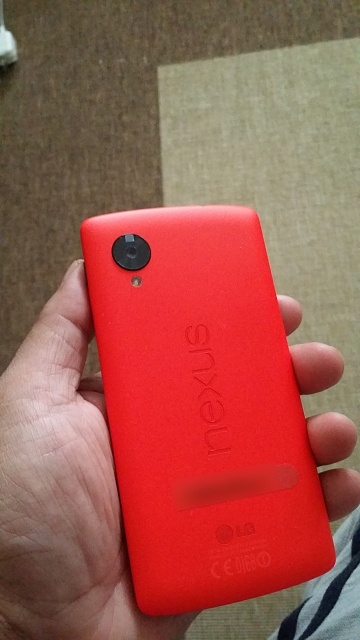 If you are going to put a case on it but like the red color, then just get the red case for the black or white Nexus. ya same here getting my nexus 5 today also. Does the red look like the Google pictures? Is the back feel similar to the black N5 or white N5? Used next day delivery and it arrived at my door this morning. What is the texture like? Same soft feel as the black, or closer to the slick feel of the white? Not sure about that because this is my first nexus 5, but i will say it has soft feel. Does Google Maps Compass Mode Work Properly?